Your winter squash plants may be ready to provide you with a second vegetable you didn’t expect – summer squash. Last year we cut up, stir-fried and ate a young, tender fruit from our friends’ seed crop of Seminole winter squash. It was delicious, with an agreeable texture, and a rich, buttery taste. Then we harvested several young squash from our winter squash variety trials, and they all tasted similarly great! In fact, they tasted better than most summer squash do! 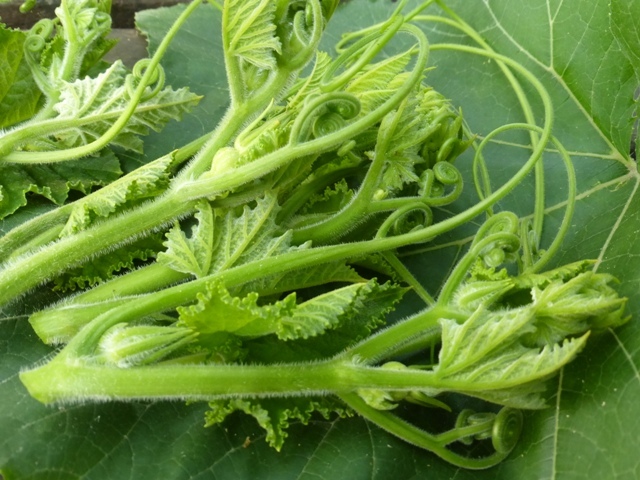 It can be a challenge to find the young squash under the large green leaves and sprawling vines; however, if you plan ahead, small-fruited varieties of squash can be trellised, making it easier to find the young fruits. Growing regular summer squash can be easy, but in many parts of the Southeast, the plants are susceptible to squash vine borers, which can kill a previously healthy plant in a day. Thus many gardeners and organic farmers get abundant harvests for a period of time, and then little or even nothing. Luckily there are several ways of dealing with this problem. However, at this point in the year, if you’ve neither planted successions, nor meticulously pulled vine borer larvae out with tweezers, you might or might not have a lot of summer squash plants left. Squash varieties fall into four main species – pepo, maxima, moschata, and argyosperma. Moschatas and argyospermas are resistant to squash vine borers. Pepos and maximas are susceptible. Most summer squash are pepos, but many winter squash are moschatas. 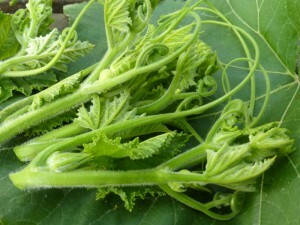 One traditional summer squash, Tromboncino, is a moschata. 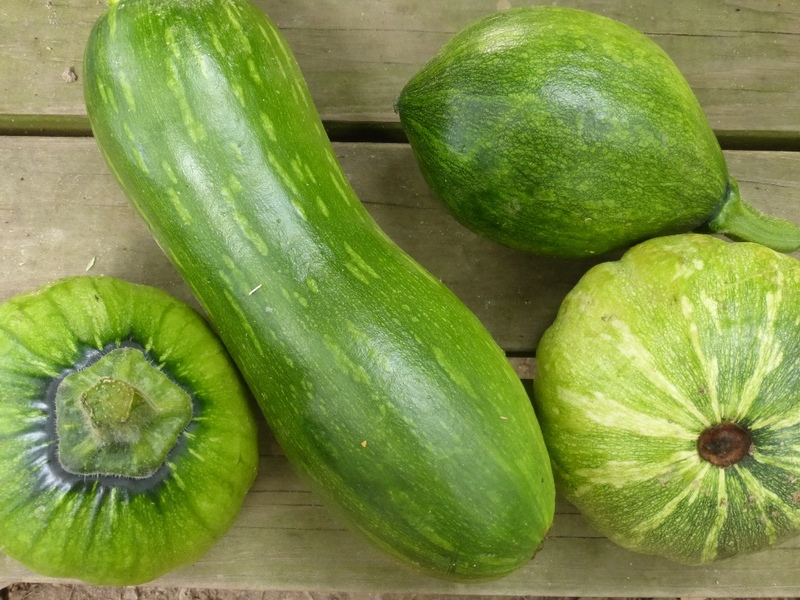 We list the species of each of our squash varieties just after the variety name. You can also use edible gourds as a summer squash substitute. The ways you can use a squash are endless, whether it’s mature or immature – and whether it’s a pepo or a moschata or another species. 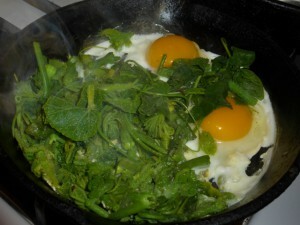 You can stir-fry them with other vegetables, or by themselves. You can deep-fry them or bake them. You can turn them into soup. You can stuff them. You can grate them into a salad. You can lacto-ferment them. 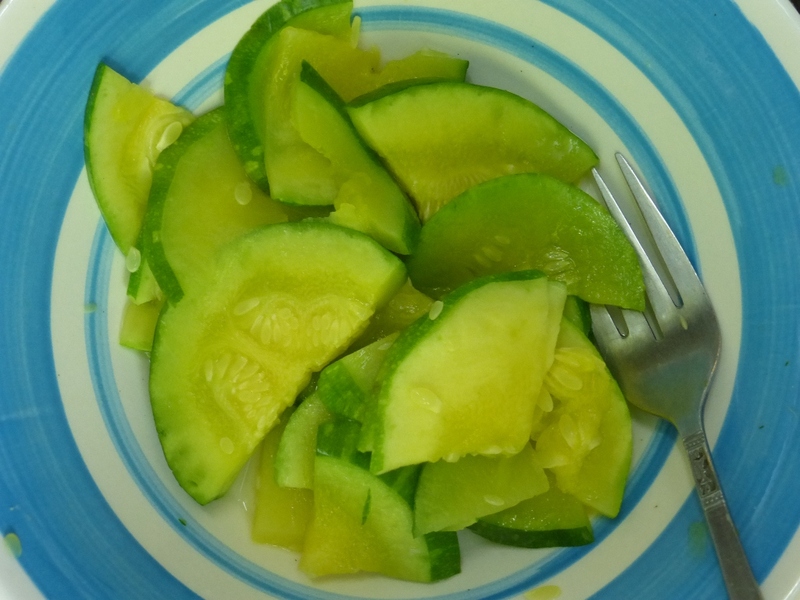 You can use them in sweet recipes – use any of the immature ones like zucchini in zucchini bread, and use any of the mature ones like pumpkins in pumpkin pie. You can cook the tender shoot tips as well as the fruits (though I found the long tendrils to be rather bitter and I would remove those next time). Perhaps around the time of frost you’ll find yourself harvesting a squash that’s too old to use quite like summer squash, and yet too young to cure and store like winter squash. You can eat those too. You’ll probably want to peel them first, and scoop out the seeds – the skin and seeds both generally get tough by intermediate stages of maturity. Then, you can use them either in a winter squash recipe or in a summer squash recipe.